Directed by Matteo Garrone. With Marcello Fonte, Edoardo Pesce, Nunzia Schiano, Adamo Dionisi. 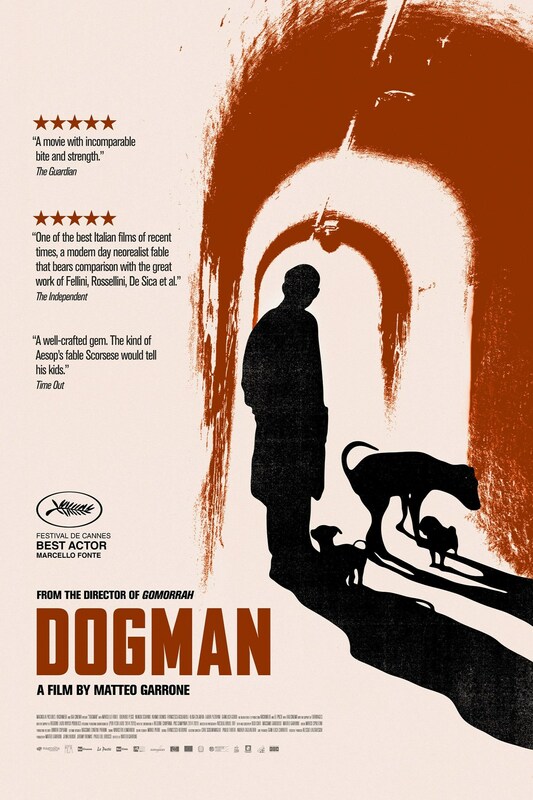 Marcello, a small and gentle dog groomer, finds himself involved in a dangerous relationship of subjugation with Simone, a former violent boxer who terrorizes the entire neighborhood. In an effort to reaffirm his dignity, Marcello will submit to an unexpected act of vengeance.